These exercises are separated by type to enable students to practice the different conditionals. This will help them to recognise the differences between each type. The above printable, downloadable handout is recommended for high school students and elementary school students at Elementary (A1), Pre-intermediate (A2) and Intermediate (B1) level. 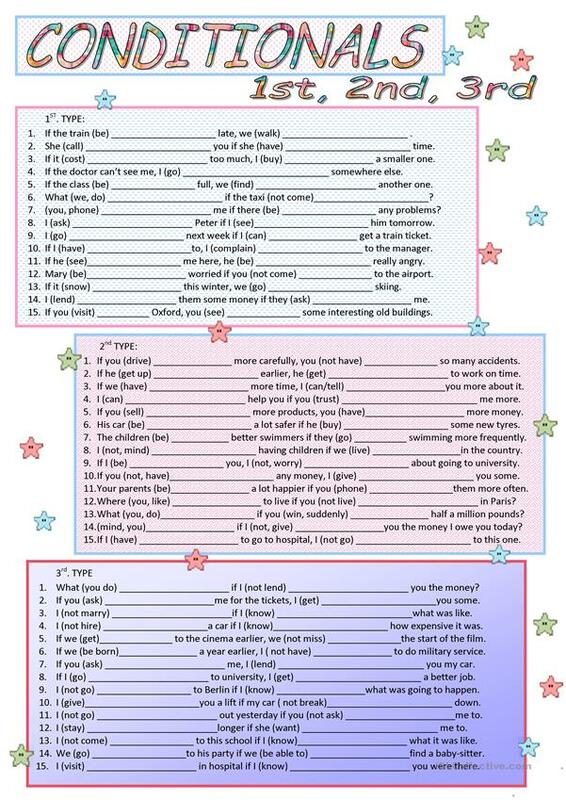 It is a useful material for consolidating Conditionals in English.